18 Coal Plants to be Closed! 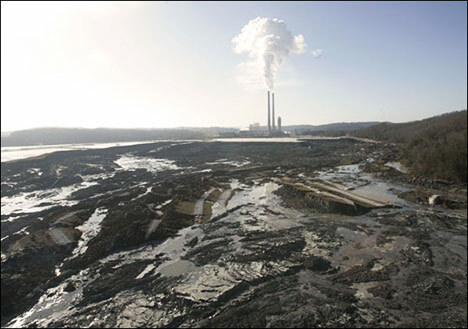 The Tennessee Valley Authority (TVA) has agreed to close 18 coal units over the next 6 years. This is a major victory in the battle for clean air, particularly in regards to TVA, who has been sued many times for their air pollution violations as well as being responsible for one of the worst environmental disasters in history: the TVA Kingston Coal Ash spill. Hopefully this signifies a shift overall throughout the country, and throughout the world, away from coal and towards an energy system based on renewables instead of fossil fuels. If there is a war on coal, environmental forces may have just won the Battle of Midway. You can also read more about this accord at The New York Times. For those of you around Texas and throughout the United States, take this to heart: we are winning the fight against coal and we will continue to win as long as we keep up the pressure. Our best thoughts go out to all the folks gathered at Power Shift 2011 (going on all weekend) – you all have something to celebrate tonight!